Reviewing restaurants is one of my goals this year. 52 restaurants, in 52 weeks. 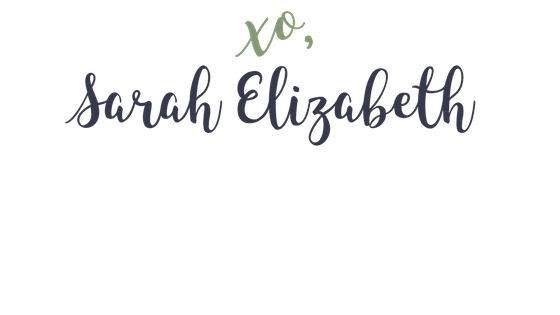 YES – this fitchick needs to get to writing! 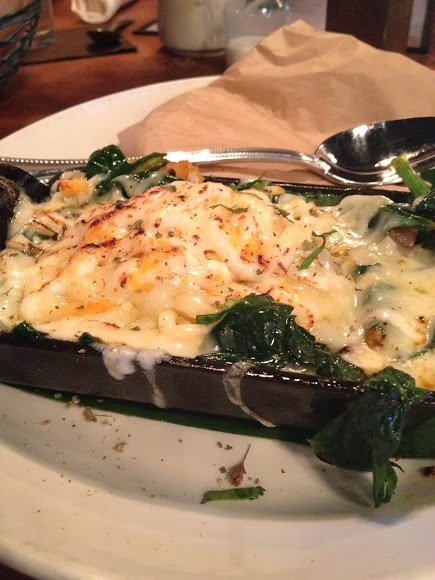 I’ve got several nummy places (and some ramshackle places you need to avoid!) to tell you about. Get ready for the NOMS! Today’s brunch spot was Meso Maya. This somewhat pint-sized establishment packs a big punch, when the chef is on his game. It’s not too tiny, an occupancy of nearly 125 – including the adorable open-air atrium. Truly, not sure how we missed it before. It’s located off the frontage road, right next to El Fenix [a review for another time, avoid all but the original], across from The Perot. This block has 3 restaurants on it – Meso Maya, El Fenix & La Ventana…a trio of Latin fusion. Meso Maya may be a hidden gem. We’ve been twice, last week and today, and – both times – the restaurant was considerably empty. There is no lack of service, as there are several waiters and an eager hostess ready to sit you the moment she sees you. Super friendly. Like her bunches! We sat and placed drink orders all around. The coffee was nothing special, but they do serve the milk/creamer in a super cute mini-milk bottle, about three inches tall. Sadly, that doesn’t make up for the average cup o’ joe. Their brunch menu boasts $2 mimosas, bloody marys and sangrias. We tried all three. The mimosa and bloody mary need some serious help. The orange juice is bitter and so is the champagne, leaving nothing for the palate to enjoy except the tingly sensation. I tried my first BM here last week and was less-than pleased. It’s a tinged-blood orange color, much like rusty water – which is exactly what it tastes like. 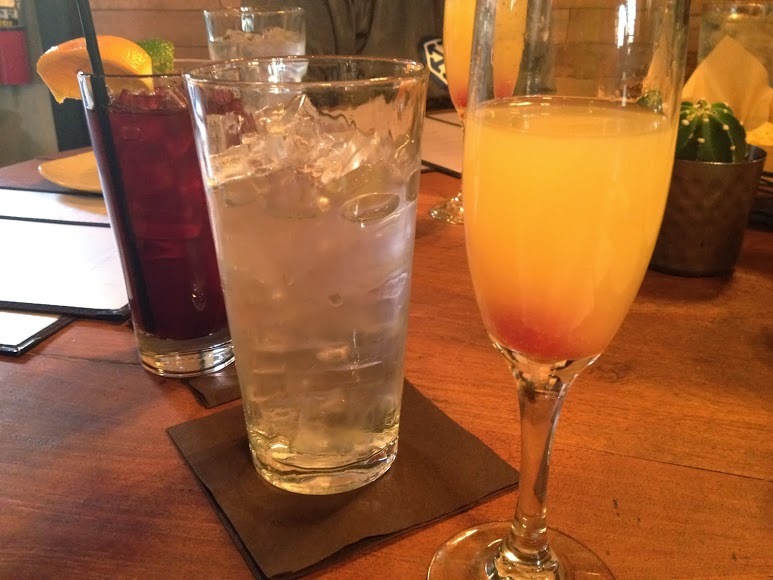 Now, I’m not new to having alcohol with my brunch, but after trying several drinks at multiple locations, I decided that maybe it isn’t for me. I can’t be fancy and eat my eggs with wine, beer or champagne. They get lost in the flavor of the alcohol and then I’m pissed-off because my brunch is flavorless. Eww, right? Well, he may have a point. I’ll test his theory another time. Take my advice, steer clear of the cheap drinks here. You’ll thank me for it later. 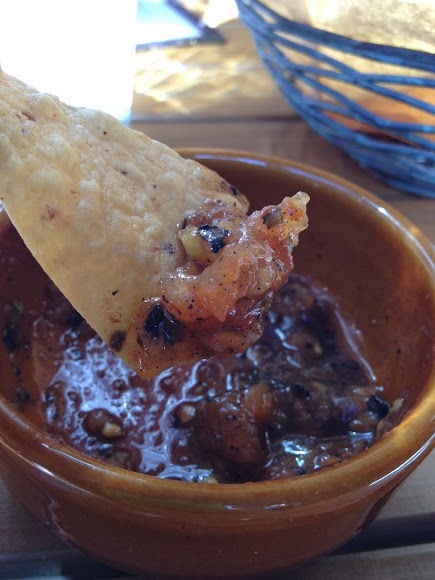 You can however, proceed to shove copious amounts the their house-made chips and salsa down your eager gullet. Note to you – if you are at a Mexican restaurant and their chips and salsa are bad…it’s highly likely that your dish will be any better. These chips, my friends, are wonderful. They are not greasy, perfectly crispy and “mouth-sized,” as they take a tortilla and slice it multiple times. This salsa is glorious. Tomatoes, salt, pepper, poblanos, onions and just the right salt/pepper ratio. It’s nothing short of addictive – consider yourself warned! If you eat too many of these, you’ll be hating yourself (calorie-wise) and wishing you hadn’t when your chosen dish finally makes it to you. I think these chips are so damn good, because of how insanely long it takes to receive your food. We ordered an appetizer, to stave off the hunger. It looks wonderful, but was a total flop. The coagulated cheese received was beyond difficult to cut through and the spinach, though a cute pop of color, was lifeless. No flavor. The chorizo and sauteed mushrooms were an afterthought. The real show-stopper here was the amount of oil in this mozzarella party. So gross. Not even the yummy tortillas could save this queso. When our food finally came, about 35 minutes later, everything looked scrumptious. Sadly, it was a serious Monet effect. 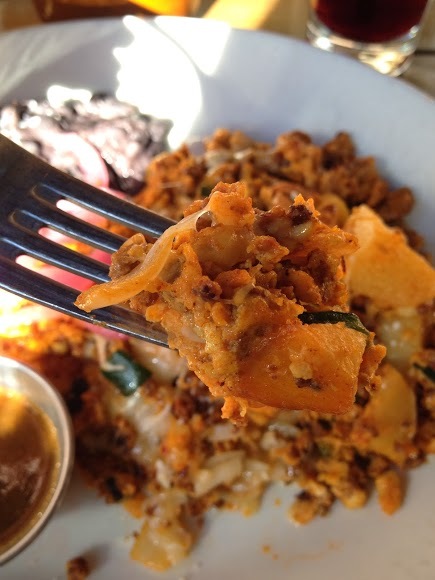 My dish was the Huevos Borrachos – cubed potatoes, diced poblanos, mozzarella and chorizo scrambled up in fluffy eggs. Its sidekicks? White rice and black beans. Neither of which you could go wrong with here, except that this dish was also leaning more toward cold than warm. Semi-cold eggs are quite disgusting. Don’t believe me? Make some, then let them sit for about fifteen minutes. Enjoy the grossness. I warned you. “Monet” – looks great, tastes average. Last week I tried this same dish and loved it. Today it was a semi-cold disaster. Maybe the chef was different today? Please bring the other one back, if that’s the case. 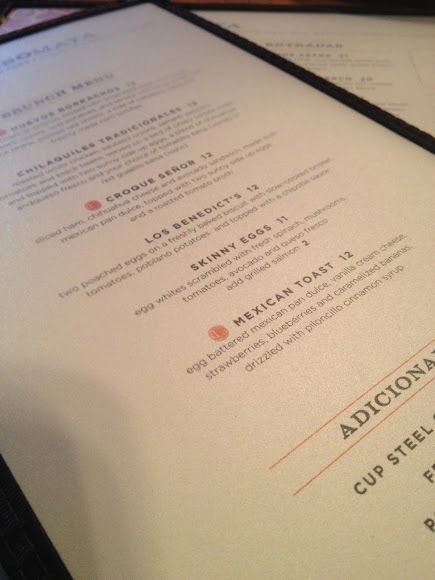 We also tried Los Benedicts – which are, unfortunately, nothing to write home about. My favorite part of this dish was the perfectly poached egg that sat atop the brisket basket. The brisket was a bit slimey and too stringy. The amount of sauce is negligible, which I prefer, but whatever it was marinated in needs to be tossed out! This Benedictine tragedy appeared on our table. 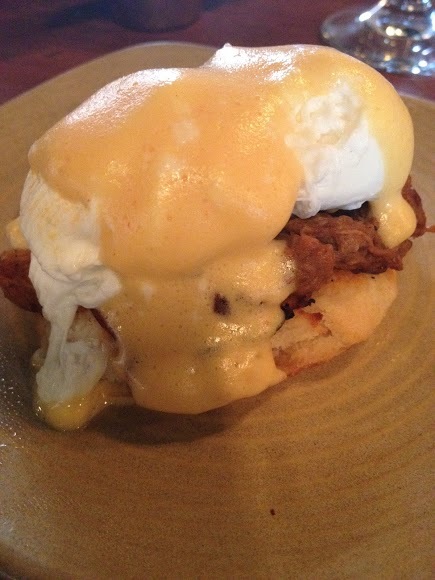 The chipotle is barely discernible in the hollandaise, considerable masked by the less-than barbeque it underneath it. The biscuit was toasty, which made for a nice texture difference – the only good thing this dish had going for it. Poor guy. We were terribly full, the chips did their work here. Delectable corn chip treats. YUM! Planning on leaving, the waiter stepped in and asked if we’d like dessert. Horrible person! He suggested the chocolate cake, and I went weak at the knees. Of course we ordered it! 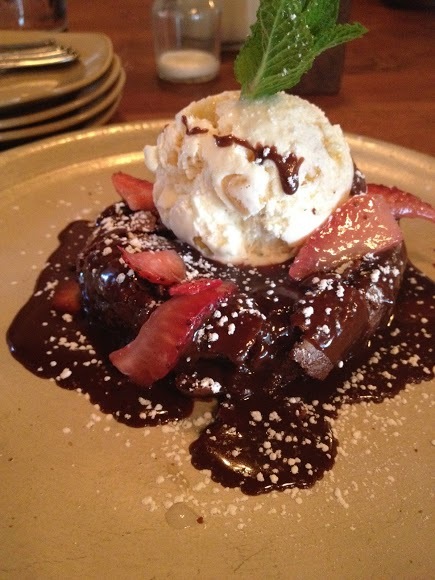 What a glorious combination of chocolate torte, delicate strawberries and vanilla-corn ice cream. Yes, I said vanilla-corn. Try it once – the addition is not nearly as gross as you might think. The corn kernels add a unique crunch and texture to the ice cream, but I could have done without the corn taste. This cakey goodness was soft and gooey. Just the right amount of thick chocolate sauce, but not too fudgey. There was no overwhelming chocolate taste here. Balanced by the vanilla ice cream, the souffle-like cake practically melts on your tongue. Cheers, to the pastry chef! Overall, I give Meso Maya a 6 out of 10. Their made tortillas and chips are a gift from chef genius. Just wonderful. However, their dishes are not consistently great – which is quite unfortunate. The service is above average, though the length of time it takes to receive your main course is much too long. especially for a slow Sunday morning. 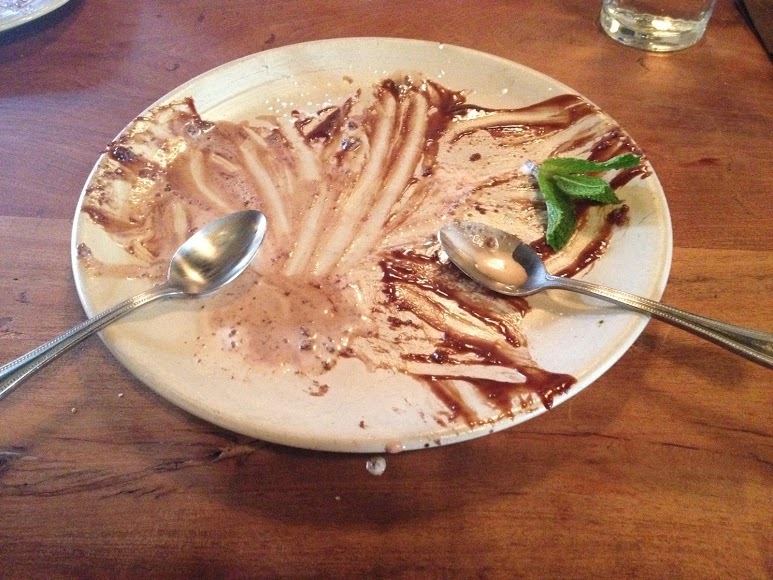 Their chocolate cake is worth a dessert run, but their dishes need work. Tell me how your experience goes. Foodie Christmas – Knock the Pants Off Your Chef!